One of the first wrestlers to catch my eye before I even became a wrestling fan was Kerry Von Erich. It was the early 80s and he was one of the top guys in World Class Championship Wrestling, eventually becoming the NWA World Heavyweight Champion. 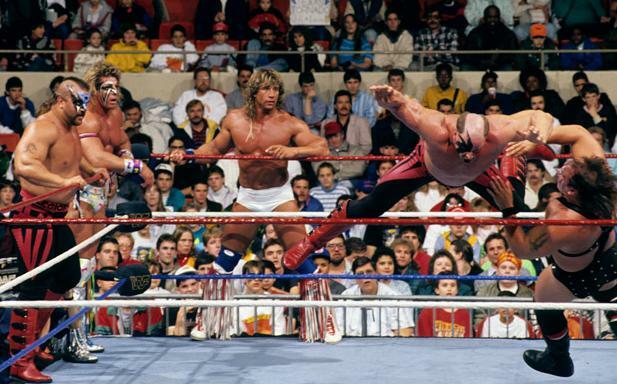 Then in 1990 he arrived in the WWF as the Texas Tornado and quickly won the Intercontinental Championship. He lost it days before the Survivor Series but was already an established member of The Warriors. 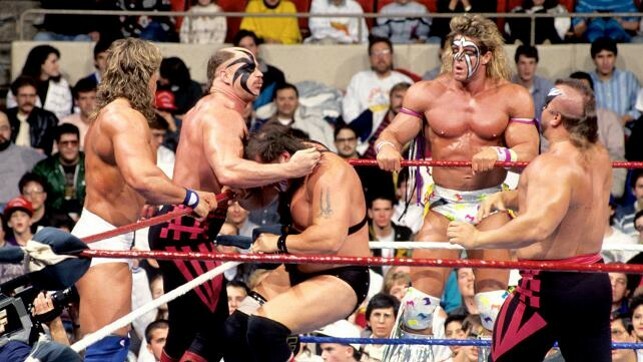 The team was led by the WWF Heavyweight Champion The Ultimate Warrior. He and Kerry were joined by The Legion of Doom. But in past lifetimes Kerry was the Modern Day Warrior and LOD was, of course, The Road Warriors. 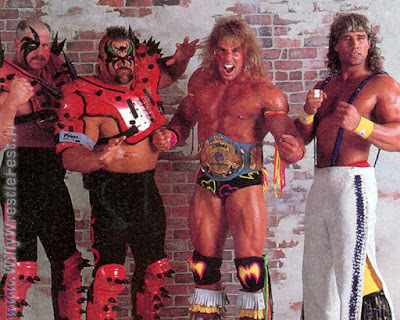 This foursome is the most physically intimidating team in the history of Survivor Series. Not only did they all look amazing, they had many accomplishments in the ring. Warrior, as I mentioned, was World Champion. Plus he had two runs as IC champ. Kerry won gold everywhere he wrestled as was a former WHC and IC champ. The Legion of Doom had been NWA and AWA Tag Team Champions and were on course to win the WWF's version of those belts too. They could have been named like their opponents, The Perfect Team. Simply put, on paper, this was a dream team. But the execution of the match was a nightmare for this fan. That might be too much of an exaggeration. I was disappointed that Kerry wasn't one of the final survivors, but looking back at the big picture I understand why. I also hoped he would have eliminated someone. But more frustrating was the LOD and Demolition (Smash & Crush) double-disqualification. I've mentioned before I don't like when more than two people are eliminated at a time via count-out of DQ. By the logic applied here all three members of Demolition should have left the ring when Ax was pinned early on in the match. Despite those nitpicks, The Warriors still hold up 26 years later as my favorite team. I dare argue anyone will knock them from that status. Thanks for checking out my countdown. Now enjoy the 2016 Survivor Series!